Walmart Value of the Day: RCA 40″ Class LCD 1080p Widescreen HDTV $349! RCA 40″ Class LCD 1080p Widescreen HDTV is Walmarts Value of the Day for $349! According to Walmart this will arrive on or before Dec. 23 and ships free. Hurry over to Amazon to score a great deal on a Panasonic Blu-Ray Player for only $69.99 + you get a $10 Amazon Credit when your item ships. If you have been waiting for a great deal on a name brand Blu-Ray player, then this is your deal! That makes the total cost down to $59.99!!! **UPDATE** Hot Walmart Deal: $2.00 Money Maker on Renuzit Crystal Elements + FREE Renuzit Air Freshener after mail-in rebates! There are 2 Renuzit mail-in-rebate offers that will make both the Crystal Elements and the Holiday Fresh Accents Free. 2. Buy Renuzit Holiday Fresh Accents Long Lasting Air Freshenerin Winter Berry or Festive Snow between 10/03/11 and 12/31/11 and the purchase price will be refunded up to $2.29. Go HERE to print the rebate submit form. Note: Even though there are no exclusons I would not attempt to buy this product alone with a coupon and then try to send in the MIR. Please remember to follow all instructions on your rebate forms! Free KY Jelly + $.38 overage at Walmart! The reason you check your computers every day is here: Free K-Y! Print a high value coupon valid for $3/1 ANY K-Y brand product. PLEASE DO NOT EVER PAY FULL PRICE FOR KY! And NO, this does not qualify for a Stocking Stuffer! Total: FREE + $.38 on overage! The Dollar General Price Match List is ready. The quantity is not as high as it has been lately but they are almost all high frequency purchases which makes them very useful. Let me know if I missed anything! 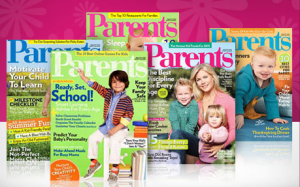 You can get a subscription to Parents Magazine for as low as $2.22 a year when you use coupon code HEARTTHEMART at check out. The 5 year subscription will be the best deal at only $2.22 a year! This offer is good until Tuesday night at Midnight! Parents Magazine is a clean, clear, dynamic and authoritative magazine on childrearing and family focused information. It focuses on family formation and growth including the daily needs and concerns of modern mothers. Parents also regularly features information about beauty, food, fashion, home, age specific child development and more. From pregnancy to preschool, from toddlers to teens, Parents offers an unprecedented level of practical guidance and frontline insights from parents to parents. You can see how I give magazines as a gift HERE. See another magazine you’d like to purchase? You can always use coupon code HEARTTHEMART to save an additional 20% off of any other DiscountMags.com magazine subscription. You can purchase this as a new subscription for yourself, as a gift subscriptions for others, and you can also use this to renew an existing subscription.